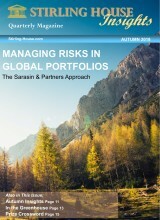 Stirling House Insights is our glossy quarterly publication which we send out to Clients throughout the UK. 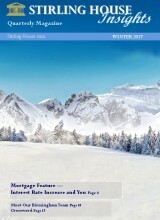 Now available to 10,000 Clients in 7,500 households, we have also made Insights available on-line too. As you would expect, our magazine delivers editorials on a variety of financial topics, but it also features charity news, the cryptic prize crossword and other puzzles as well as Insights into Stirling House behind the scenes. One aspect of Financial Services is that it does not stand still. Change is often afoot. Read Page 5, that gives a possible pre-Autumn Budget spoiler alert, explaining a long-overdue tax issue. 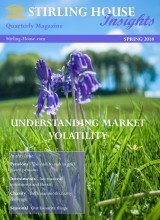 Spring is definitely in the air in this edition of Stirling House Insights. 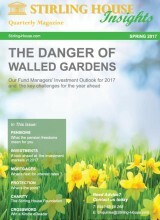 We have been clearing out the cobwebs on page 5 with the article on Spring Cleaning Your Finances. There is more sound advice to consider on page 6 as we look ahead to Brexit. As the figures for the end of 2017 have been announced, I can report that the performance of the HC Stirling House portfolios has been positive. This is good news for investors and looks like it has been the case across share dividends too as you will see from the article on page 6. In this edition of Stirling House Insights we introduce you to our Advisers and their support staff in our Yorkshire Location. 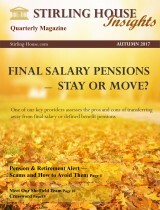 Feature articles include Final Salaries, Pension Fraudsters and Interest-only Mortgages. Fun topics include a pumpkin recipe, our tough cryptic crossword and Reggie the Labrador. 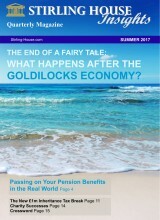 This summer we take a look at Pensions & Investments as well as Mortgages & Protection. Other features include insights into some members of staff, our cryptic prize crossword competition and charity news. 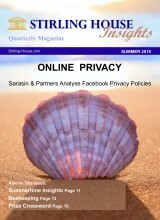 We hope you find Stirling House Insights an enjoyable read. Welcome to the launch of the first edition of Stirling House Insights, our brand new quarterly publication. 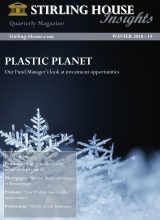 As you would expect, the magazine features a variety of financial topics, but you will also find Insights into Stirling House behind the scenes as well as charity news and a cryptic prize crossword. If you did not receive your copy through the post, you can view and print the on-line version here or contact us for the glossy version.